This is part one of a two-part series on anxiety in children by James Lehman, MSW. In the first article, James will discuss how to understand and identify anxiety in children. Next week, he’ll give you some constructive advice on how to help children manage anxiety successfully. For many children, riding the school bus, taking a test, or even going to school can trigger some anxiety. Social activities, such as birthday parties, sleepovers, dances and dating, can also make kids feel anxious. Be alert to the fact that when you ask your child what’s wrong, the reason they might give you will not always be the source of their anxiety. Personally, I think severe anxiety is one of the worst feelings in the world. It can be disabling. Kids have described it to me as feeling like there’s a brick in their stomach, as if they’ve done something wrong or something bad is going to happen. 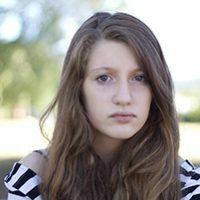 Many adolescents describe it as feeling like something is eating at them and they can’t stop it and it scares them, or like they’re waiting for the other shoe to drop. As a cautionary note, it needs to be stated that when dealing with severe anxiety, be sure to have your pediatrician rule out any medical issues that may cause anxiety to make sure it’s not a problem with physical origins. That being said, anxiety is the emotion we experience in a wide variety of ways when we’re uncertain about what’s happening, or we feel like we can’t control the events that are about to happen. Fortunately, most adults learn to manage this anxiety in a way that allows them to function effectively and live successfully in society. Anxiety is really the 21st Century word for fear, although people don’t always associate it that way. Survival is probably our strongest primary instinct. And our instincts produce energy in the form of feelings. One way to understand the feeling of anxiety is to think of survival as a “fight or flight” mechanism. Survival is the engine, anxiety is the gas—it gives you the energy to actually do the fighting or running. For people who have problems managing anxiety, it feels like their bodies are revving up, but there’s nowhere to go. That’s why they talk about feeling nervous, jumpy, uptight, or out of control. The problem is, most kids don’t know how to process their anxiety, so it goes unchecked. And many times, it ends up feeding on itself and building. With many children who experience anxiety, you’ll also see a marked difficulty in their ability to sit still and pay attention. You might also see withdrawal: your child may become isolated as they see the world as an increasingly threatening place. Be alert to the fact that when you ask them what’s wrong, the reason they might give you will not always be the source of their anxiety. This is because they don’t know how to define or express it, and they haven’t developed the internal problem-solving skills to deal with it yet. Most kids don’t know how to say, “I’m really afraid and I don’t know why.” In fact, when kids and adults experience anxiety, they often don’t know what’s causing it and will find some person, place or thing to blame it upon. I want you to understand, when I use the word “anxiety” here, I’m talking about problematic anxiety. So while anxiety has a whole spectrum of ways that it’s expressed, how do we know when it’s harmful or disabling? Make no bones about it: it’s harmful when it triggers inappropriate behaviors, or when your child becomes too anxious or afraid to attempt (or complete) an age-appropriate task, or participate in age-appropriate activities. So if your child is refusing to go to school, unwilling to take tests or do normal childhood activities, you need to rethink how you’re both dealing with the problem. Here’s a way of understanding how feelings of anxiety affect people differently and what range of behaviors you might see. As you can see, all of these people are afraid of being late to something that’s important to them, but they manage their anxiety in very different ways, and their actions appear to have very different outcomes. One person leaves, one person decides it’s OK to be late, one person processes the situation with the man standing next to her, and the last person starts shouting and blaming others, which is the least effective way of dealing with the problem. It’s important to note that they probably all wound up being late, but three of them dealt with this situation in a way that didn’t trigger severe agitation or lead to inappropriate behavior. Our goal for children is for them to learn the skills to manage their anxiety in a way that is effective. We measure effectiveness here by how much they let the anxiety disturb them and how much it affects their functioning. Now, let’s look at three kids who have to ride the bus to school. All have anxiety about riding the bus for different reasons. And he responds, "Can you drive me to school? If you drive me to school, I’ll be OK. I don’t like the school bus anymore.” At this point, he’s is probably saying to himself, “I can’t ride the school bus. Will is there. I don’t like the bus. I don’t like school.” He’s making the problem more severe by projecting how bad the situation will be before he even gets there. And he’s trying to solve the problem by controlling his environment externally—by getting his parents to behave differently. On some days, one of his parents may be able to drive Zach to school, and so he might proceed to get dressed, and he experiences that ride as the solution to his problem, although it’s only temporary and he hasn’t developed any skills to deal with the real problem. The second child, Olivia, has the same thought, but her mother says angrily, “No, you have to ride the bus. Your dad and I both need to get to work, so we can’t take you to school today. I’m going to stand right here while you get dressed because I can’t be late for work.” What ensues is a passive power struggle in which Olivia is doing things slowly while her parents are becoming increasingly annoyed and frustrated. All the while, the child may be saying things to herself like, “They don’t care about me. I can’t ride the school bus. Why don’t they just take me to school?” When the parent finally gets her into the kitchen for breakfast, she may refuse to eat or only want very sugary things, unconsciously sensing the sugar may give her more energy to deal with her feelings and the situation. She might be thinking, "If I’m slow enough, I won’t have to ride the bus because it won’t wait for me," but she may not be conscious of that plan. To her, it just feels like the most natural thing to do is slow down, because she doesn’t want to go to school. In a sense, she’s digging her heels in. In these two cases, neither child had the skills to identify the source of their anxiety and process the problem in a way that let them deal with their fear of riding the bus effectively. One avoided the problem by manipulating his parents into taking him, while the other one shut down and hid from the problem by not meeting her responsibility of getting on the bus, thereby invoking her parents’ anger, and getting a pretty severe consequence. In either case, the source of the fear is the same: They’re not going to be safe sitting in the back with Will. This fear is both real and valid, but in both cases, the kids managed their anxiety in a way that didn’t help them solve the actual problem. And that problem is that they have to ride the school bus to school and find a way to keep themselves safe from the bully. For many kids with anxiety issues, it’s passive resistance, not aggressive resistance. You’ll see them refuse to get dressed in the morning. Or the bus comes and they won’t get on. Believe me, it will manifest itself in a million different ways. Now imagine a third child named Will. He has the same problem with anxiety and he says to himself, “Kids don’t like me. They think I’m fat and ugly. They don’t want to be my friend. I don’t want to ride the bus with them. They call me names and tease me.” Will fights with his parents and he pulls the covers over his head and refuses to get out of bed. His parents, who have dealt with his high level of resistance in the morning for years, have learned that when they bribe him, he’ll respond. So his mother winds up saying, “I’ll give you those Pop Tarts you wanted, but you have to be in the kitchen by 7 a.m.” Even then it’s a challenge to get Will up. His siblings have learned to stay away from him. Finally, he eats the Pop Tarts and goes back to his room. His parents are really stressed out by his behavior now because it’s starting to affect their jobs. Their employers have made comments about them being late, so now they’re taking turns with Will and saying they’ll giving him an extra snack of cookies just to get him on the bus. So Will finally gets on the bus and sits in the same back seat as usual. Although he’s also overwhelmed by anxiety, he deals with it by picking on the other kids. Will’s strategy is to get the other kids before they get him. He calls them names and says, “You’re fat, you’re stupid.” He kicks kids under the seat and pokes them. When they complain to the bus driver, Will’s response is “I was only playing, can’t you take a joke?” The bus driver has to intervene and say, “Calm down, Will.” Will has given the driver some lip and back talk. It’s not at crisis level yet, but the driver is wondering what he’ll do if Will hits someone or breaks the rule and gets out of his seat and comes toward the front of the bus. Will’s method is yet another way of dealing with anxiety. He becomes the bully. He hides his fear by attacking others, and strikes out at other people to hide that fear. His reaction is part of the fight or flight mechanism we discussed earlier. The first two kids are using flight, by avoiding the source of their anxiety. This boy, Will, is using fight as his strategy. He tried flight, by attempting to stay in bed, but once he couldn’t resort to flight anymore, he started to fight. In the end the old saying seems to be true: Bullies, after all, are really just afraid. In all of these cases, the parents were left to wonder why their children were upset, anxious or afraid. So Why Do Kids Hide Their Anxiety from their Parents? Why do kids often hide what’s bothering them? It’s important to remember that even at an early age, children are unconsciously afraid to let their parents down. And they’ve learned that when they don’t do what’s expected by their moms and dads, a look of anger, distress, disappointment, unhappiness or pain appears on their parents’ faces. Although kids may not know consciously what those looks mean, they learn from a very early age how to associate looks and words with feelings. For instance, if a child is with his mother and they both see a cockroach in the kitchen, a look of disgust might come over the mother’s face. She may make a sound that is filled with anger or disgust, or say something like, “Oh, no!” The child then associates that facial expression with something that is awful or painful. The next day, when he falls down and cuts his hand and it bleeds badly, he might again see that look on his mother’s face and hear her say, “Oh no!” And he may sense that his mother is angry or disgusted with him. That’s why you’ll often hear kids say, “I’m sorry, I’m sorry,” when they’ve hurt themselves, because their parents’ facial expression and tones of voice communicates that they’ve done something really wrong. In the future, the child might see that look on his mother’s face when he won’t clean his room or when she’s arguing with his father. He then associates those looks and words with earlier experiences, and senses he’s really hurting her. This kind of learning is completely appropriate, normal and healthy. In fact, it is so powerful that adults, without knowing it, spend their whole lives reading people’s faces, tones of voice, and words. In fact, studies have shown that kids get more out of communication from the look on the person’s face and their tone of voice than from their words. Believe me, the numbers are astounding. In one significant study, kids got less than 10 percent of the meaning from the words that were used by the adults, while over 90 percent of the meaning came from the looks on the adults’ faces and their tones of voice. So what happens is, as kids develop, they try to hide their emotions or hide what’s going on unconsciously, because they realize that it will bring that look of distress back to their mom’s or dad’s face. One of the emotions they try to hide is anxiety, and this explains why children will often keep it from their parents. As parents, we often pick up on our child’s distress, but don’t know how to help them manage it. In the second part of our series on anxiety, I’ll offer you some tips to help teach your child how to solve the problem of anxiety when it overwhelms them. But keep in mind that parents very often need much more training on how to help their child manage their anxiety than is available in these articles.